Offering an excellent view of both English and Falmouth Harbor today, when facing west, this is also one of the best sunset views in the Caribbean. 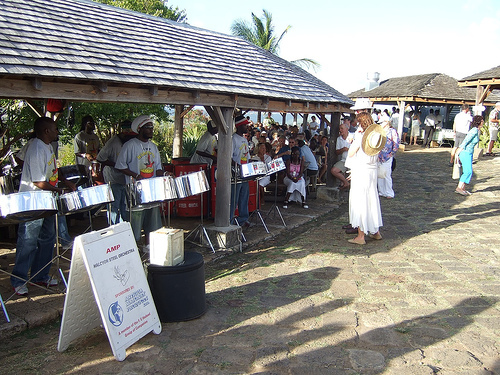 Taking full advantage of this sunset for a “jump up” party, Shirley Heights is the location each Sunday for a sunset party including Caribbean steel bands, and rum punch, served from inside one of the old military buildings. Shirley Heights “jump up” is every Sunday afternoon starting around 4:00pm. Enjoy local barbecue, and rum punch, while dancing to the Caribbean steel bands. And watch for a fabulous sunset from the “Heights” over English and Falmouth Harbors.Shirley Heights was named after General Shirley, Governor of several islands including Antigua in the late 1700’s. General Shirley had fortifications built on this site overlooking both English and Falmouth Harbor, remains of which are still there today, including gun fortifications and old military buildings. 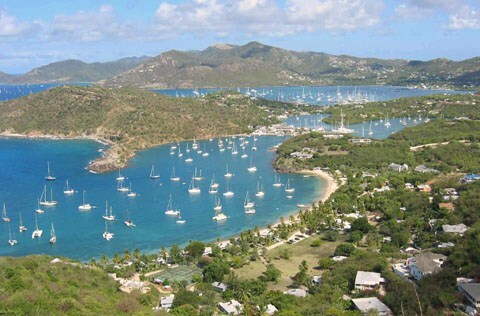 Enjoy a true Caribbean Jump Up, with a great view surrounded by historic military fortifications on your next Caribbean charter stop in Antigua.